Attack the Humanoid! 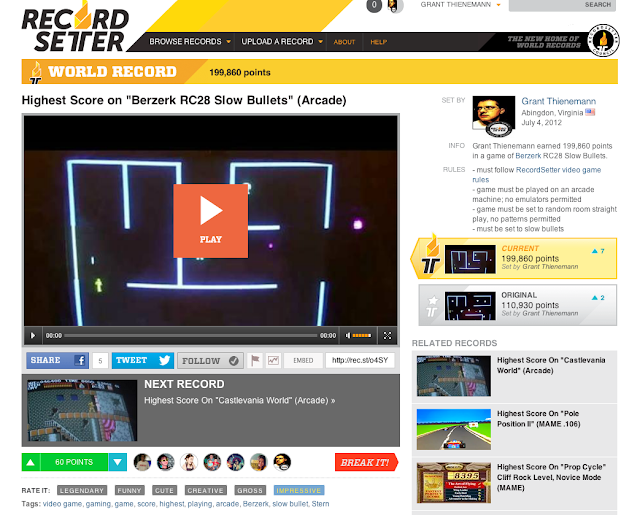 : RecordSetter and Twin Galaxies verified my 199,860 point game of Berzerk! 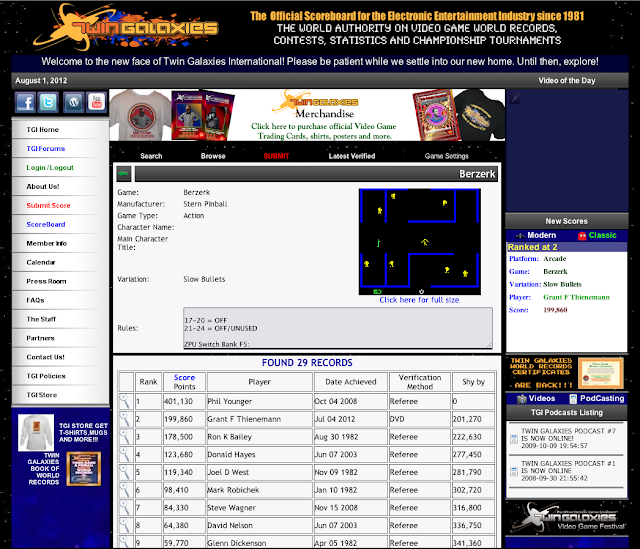 RecordSetter and Twin Galaxies verified my 199,860 point game of Berzerk! Even though I have the #2 and #1 spots respectively on Twin Galaxies and Record Setter, I'm aiming to break that score, I want to break 200,000 points. That is my next goal for myself!